You’ve probably noticed by now that in my English idiomatic expression videos I don’t focus on the typical English idioms such as “Heard it through the grapevine” or “It’s raining cats and dogs”. First of all, I believe it’s more important to focus on idiomatic expressions that are used more often – such as “I would have thought” or “Down the line”. These expressions can be used in various situations whereas the more specific idioms are limited to certain occasions. Thanks a lot David, that was very informative and I’ll definitely heed to your advice IF I decide to go down that road! It’s probably a good time to mention that if you do want to do some kind of course, please check that it’s internationally accredited. eg Cambridge have a successful ‘TEFL’ course, called the CELTA, it’s expensive but it’s recognised everywhere. I’m sure there are a few others too like the Trinity RSA. The problem is that some schools in Prague, and I’m sure elsewhere, have realised you can make a lot of money by training Americans and Brits and Aussies to teach English. What happens is that they come over, do their TEFL, which they paid for at American/British rates (eg $2000 for a monthly intensive), but then start teaching at local rates (around $12/45 mins). So it’s a big upfront investment. And if you do the maths, you can see your trainers are being paid local rates to teach people who’ve paid as if it were back home. However, I’m sure some of them are fine, you just need to do your homework. After the CELTA or equivalent, you can then go on to more specialised areas, including ‘Business English’, Young Learners, etc. Well… It’s always an option, I guess! In order to do that, however, I’d need to acquire some professional credentials, but it’s certainly a possibility down the line. After all, it’s something I’ve been involved in for years, and if I was asked to describe myself and what I do for living, being an English fluency mentor is definitely the first thing I’d mention. The non-rhotic accent is not difficult to understand once you achieve some familiarity with it. Besides, it is easier to speak a non-rhotic accent since you are leaving out the /r/ sound. I prefer the British accent even though Spanish is rhotic. You’re right about certain idiomatic expressions taking priority. 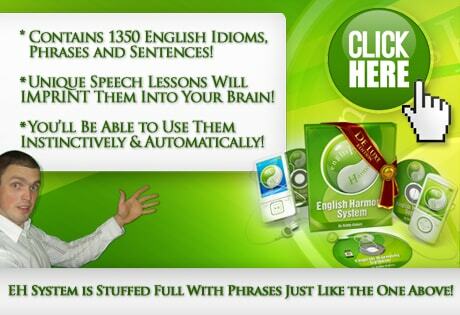 Naturally, the more idioms you know, the better, but not if you haven’t mastered the basics yet. By the way, haven’t you thought of training as a teacher. You could teach English in your country of origin if you ever decide to go back. Well, the problem is that the American accent is much ‘clearer’ and all sounds are distinctly pronounced as opposed to the Received Pronunciation where ‘R’s are omitted and so on making it a bit more difficult for foreigners to understand what’s being said. it’s quite british 🙂 btw i don’t understand british very well as American accent.. i don’t know what’s the problem could you tell me ?